A free blowing pro alto horn. "...On the specs alone it's an impressive horn. The build quality, the setup and the whole package adds up to a very credible pro-quality instrument - and when you factor in the feel, the tone and the response I think it's fair to say that the RAW XS raises the standard for the 21st century alto". Stephen Howard...Author of the Haynes Saxophone Manual. Launched in 2012 after more 2 years of testing, discussion and research with sax players around the world who told us they wanted "...a pro-horn which had the sound, the colour chart, the ability to push the 'dots' and the mechanism which would fall under the fingers so neatly that you would forget it was there", we slowly developed and grew the Signature Custom range though numerous prototypes and close player involvement. So in short, our Signature Custom horns are built for the pro player who needs to be completely confident that their horn will perform brilliantly day in/out straight from the case. Horns that don't need continual regulation. Horns that are consistent and reliable! 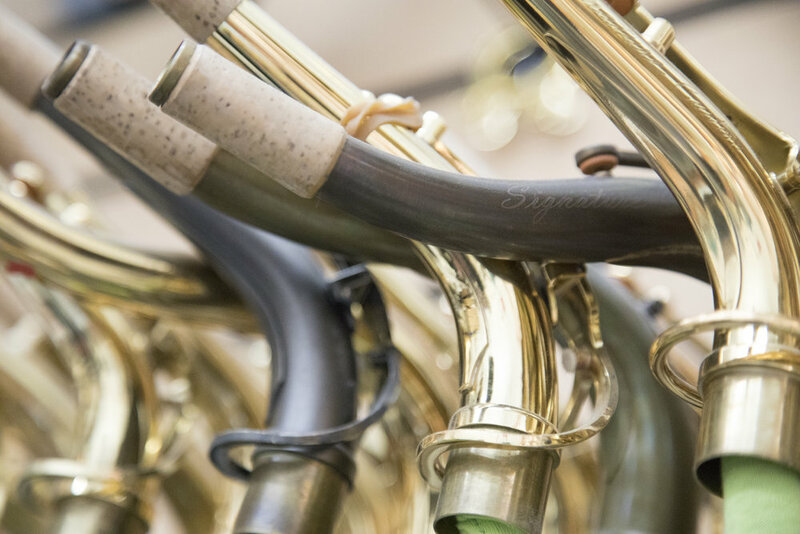 Each Signature Custom alto is built and finished at our TJ sax workshops in Lenham, (U.K.) and comes with a 'Certificate of Manufacture' with the date and the name of the specialist sax technician who built it. In this video from the TJ North American SC sax distributor Massullo Music, Steve Kaldestad plays the RAW, RAW XS, and Gold Lacquer models of the Trevor James Signature Custom Saxophone series. Hear the differences in tone as he switches between saxophones. The 'RAW' alto body is exactly as it says, raw of the usual lacquer or plating which is usually applied to modern day horns. This 'naked' appearance gives the instrument the old or 'Vintage' look and combined with a resilient modern mechanism and great set-up / build at our Lenham, Kent workshops ensures a top quality pro horn which we are all proud of. 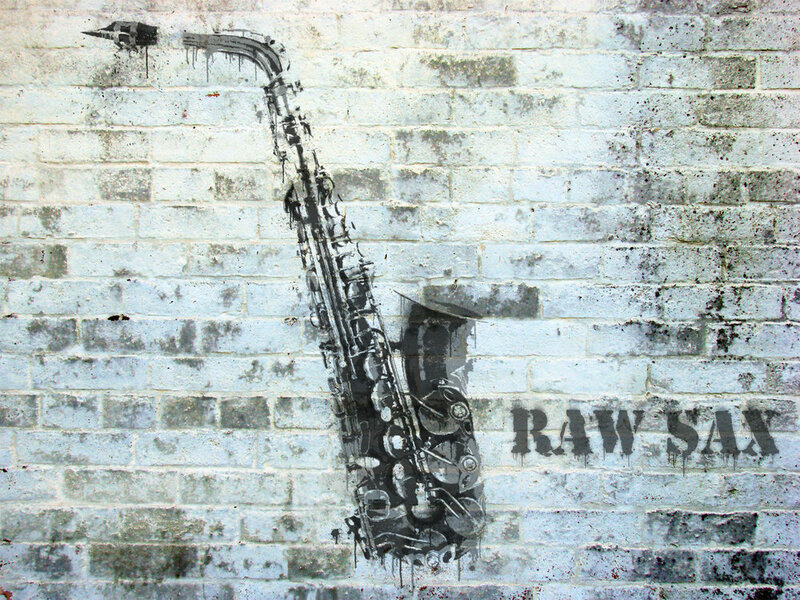 The 'RAW' XS saxophone starts out life as a 'RAW' model and then undergoes extra (XS) hand buffing to the body and mechanism which as sax players tell us "gives it a stunning clean appearance." Over time the shininess fades to give a really realistic old sax look. Which is the best alto for me? It really depends on the specific sound you are looking for along with the visual appearance of your horn. Our horns are not made by robots and so each TJ Signature Custom horns will play very slightly differently from another depending on the specific nuance of the craftsman here at Lenham (U.K) who builds it. Wider tonal differences obviously will occur when you are comparing the 'RAW' and 'RAW' XS with silver-plated, Phosphor bronze and gold lacquer finishes. So the best thing for you to do is give the horns a 'Test drive' and find the one that is best suited for you. The Signature Custom 'RAW XS' and the 'RAW' are by far the most popular alto models followed by the gold lacquer and then Phospor bronze..
Want to know more about Trevor James saxophones? Click the box to visit the Trevor James saxophone website and find out more about all our student to Custom pro horns.